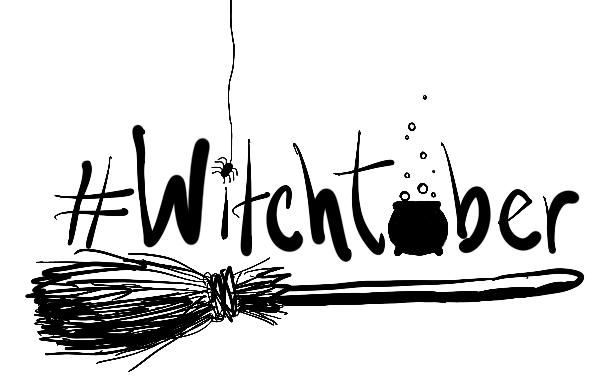 Did you all know that October is "Star Wars Reads" month? (I'm so sorry this post is going up at the end!) 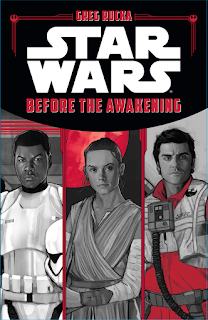 I recently read Star Wars: Before the Awakening by the awesome Greg Rucka and really enjoyed it. It's a collection of three short stories; one for Finn, one for Rey, and one for Poe, that take place leading up to the events in "The Force Awakens" film. 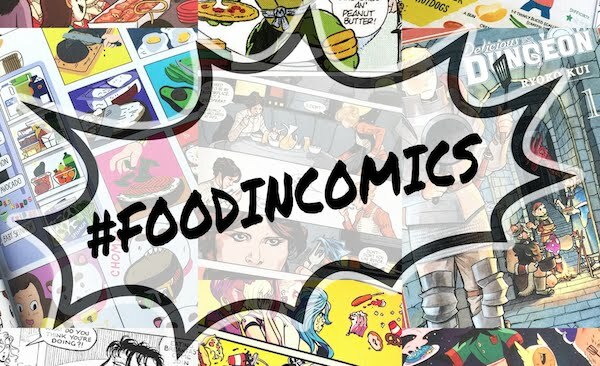 It's very interesting and gives more depth and background to the characters. 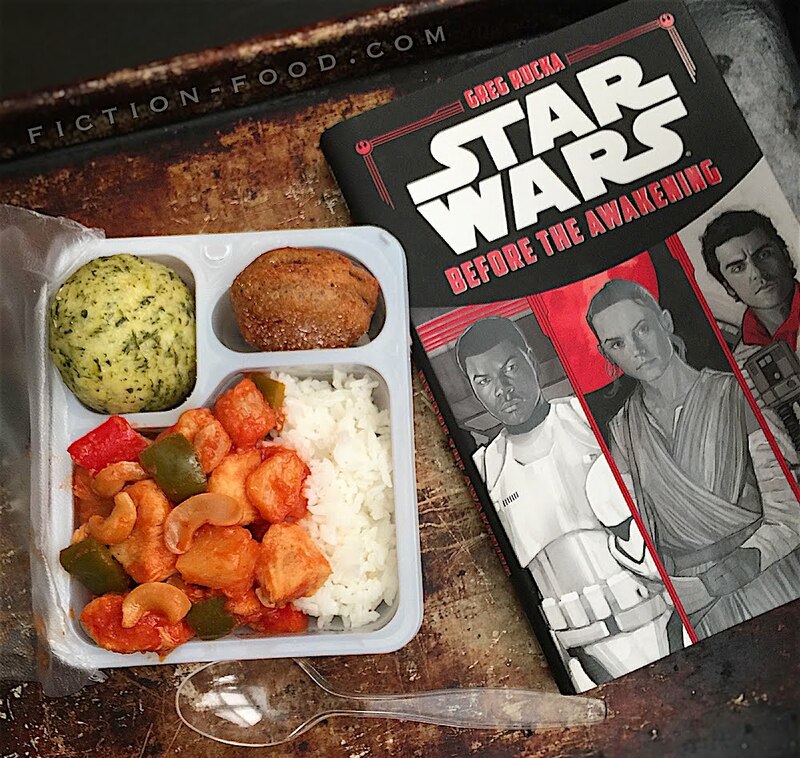 "First thing in the morning, Rey broke the seal on one of the quick-meals and ate, what was to her, some of the finest food she'd ever enjoyed. She had no idea what it was, but there was actual meat product and a sauce that was sweet and tangy at the same time and something she thought might be nuts, which popped between her teeth with a satisfying snap. There was also a small disk, encased in some sort of batter, and when she bit into that it mixed with an almost spicy sugar that was so intense she nearly gagged on its sweetness." 1. Heat oil in a large pan on medium heat. Combine the starch & chicken in a large ziplock bag & shake to coat the chicken well. Brown the chicken in the pan, turning after a couple of minutes to get all sides. Place the chicken into a slow cooker. Option: you can also quickly deep fry the chicken to golden if you have a deep fryer! Then drain on paper towels & put in the slow cooker. 2. In a large bowl, whisk together all of the sauce ingredients, minus the "additions". Pour the sauce over the chicken & close the lid of the cooker. Set to low and cook for about 3 hours. 3. After ~3 hours, add in the pineapples & peppers, stir gently, & cook for another hour. Turn the heat setting to warm & gently fold in the cashews, & serve. 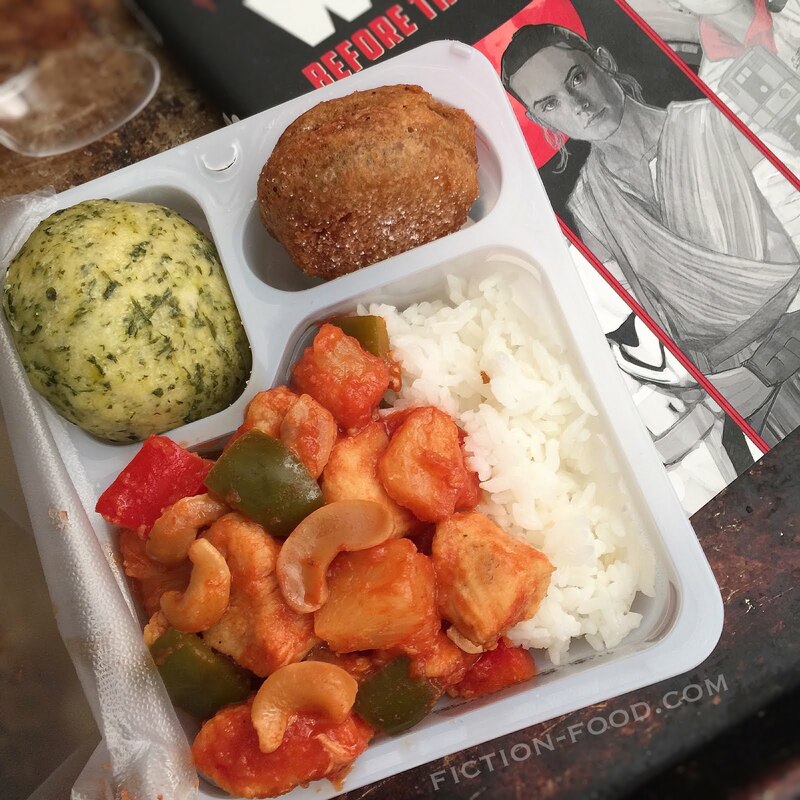 "It took four days for Rey to complete the list, and when she finished she treated herself to another of the quick-meals—she was down to eleven of them, and those battered disks were definitely her favorite." 1. In a large sturdy pot or deep-fryer, heat at least 2 inches of oil to 375ºF (I used my little Fry Daddy deep fryer). Lay a few paper towels over a wire cooling rack & have at the ready nearby. 2. Whisk the Bisquick & water until smooth. Dip a few cookies at a time into the batter & turn to coat well (a fork works well for this). Carefully plop them into the oil & cook for a few minutes until they are a deep golden brown, making sure to turn them over to cook both sides. 3. Remove to the paper towel covered cooling rack to drain & cool for a few minutes. Serve with sprinkled powder sugar (optional). Store in an airtight container. These will stay crispy! 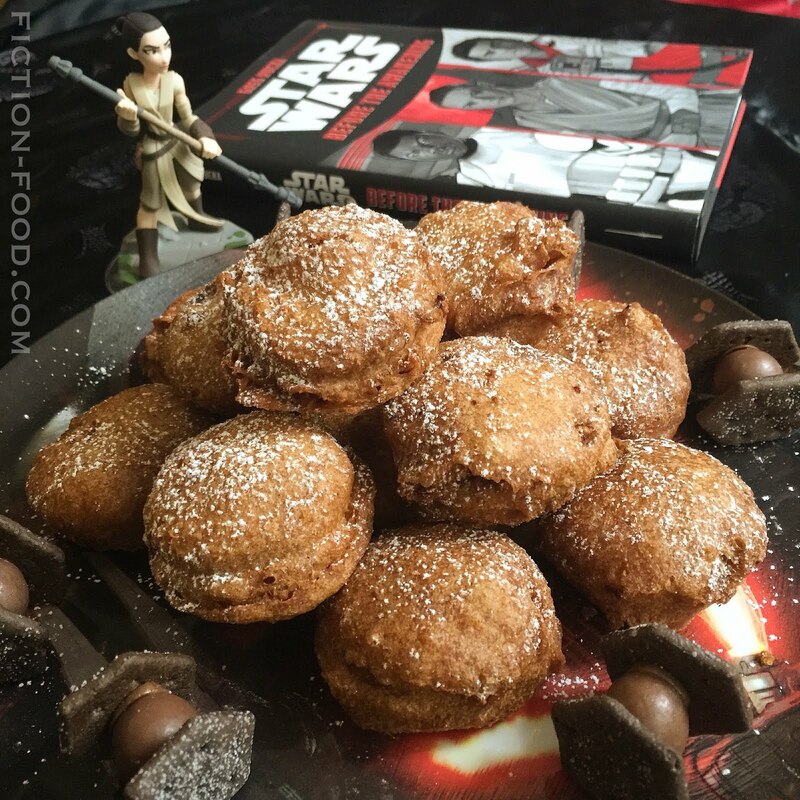 To make Rey's Little Ration Bread Buns click here for the next post! Rations are mentioned in Rucka's Before the Awakening, but aren't specifically referenced as the green bread shown in the film, rather as a blue sludgy squeeze-drink. So I'm featuring another "Star Wars" book in my next post, one that mentions the bread! 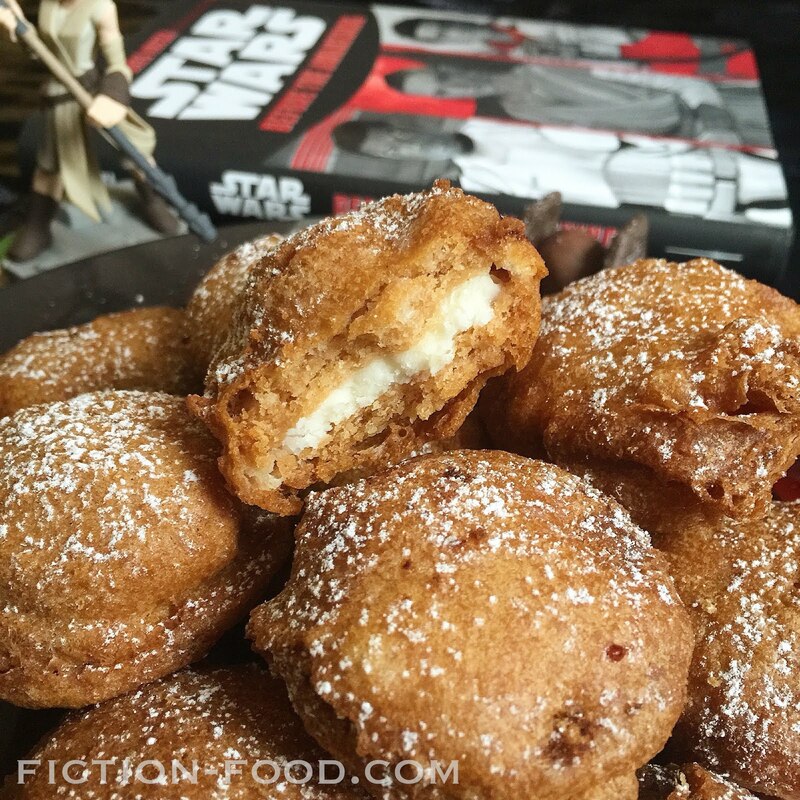 For the TIE fighter treats shown with the fried Oreos, click here!